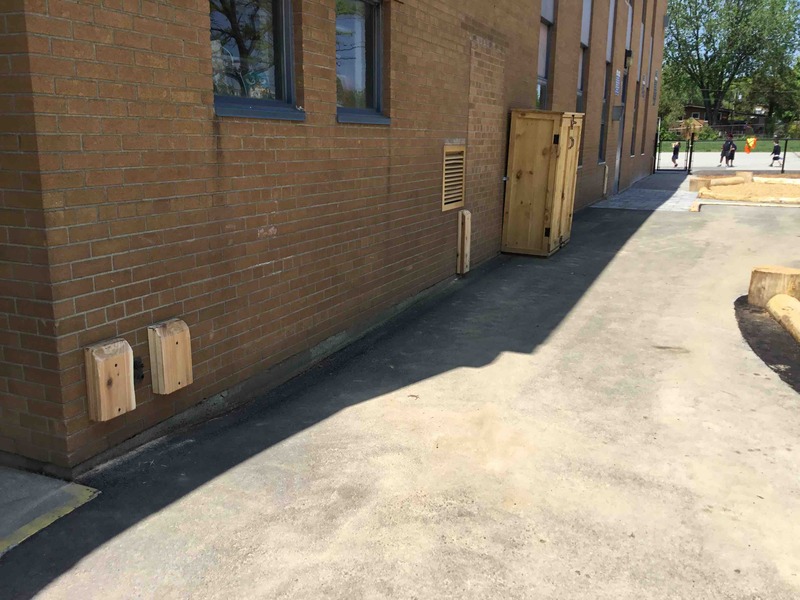 Wall Guards installed protecting pipe! 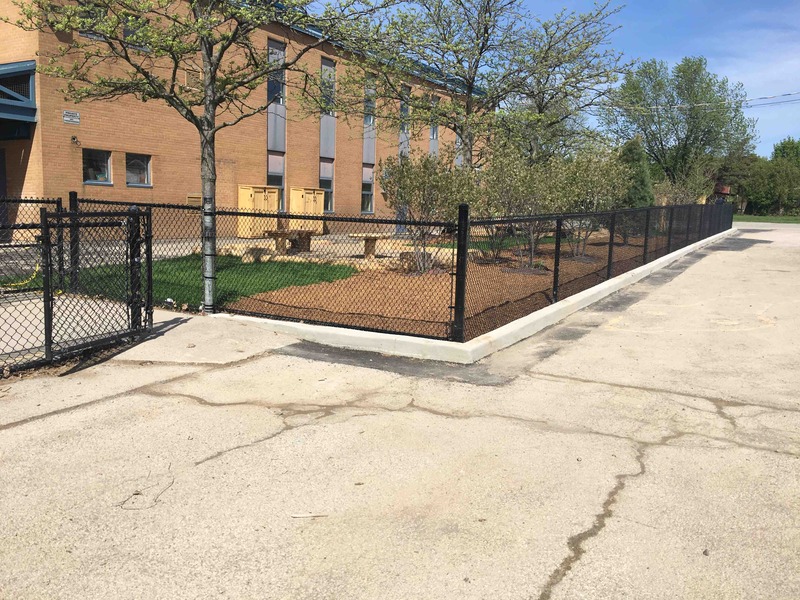 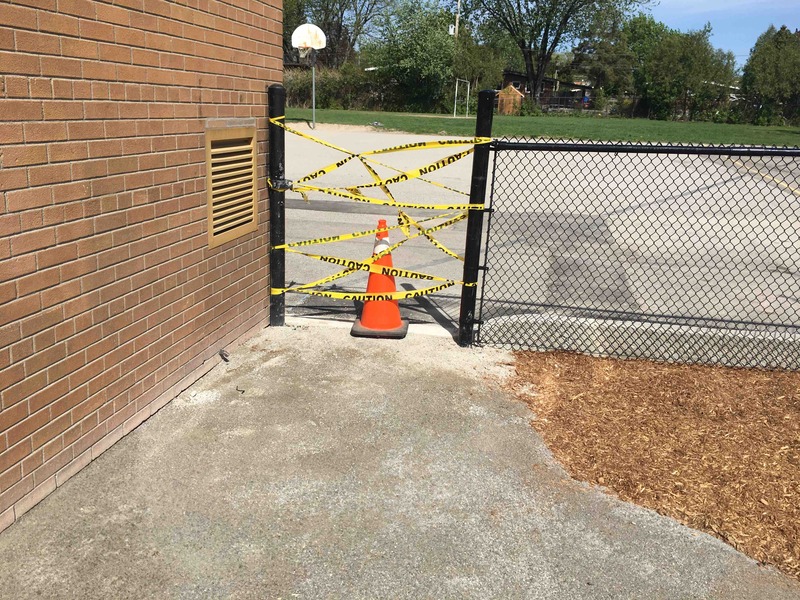 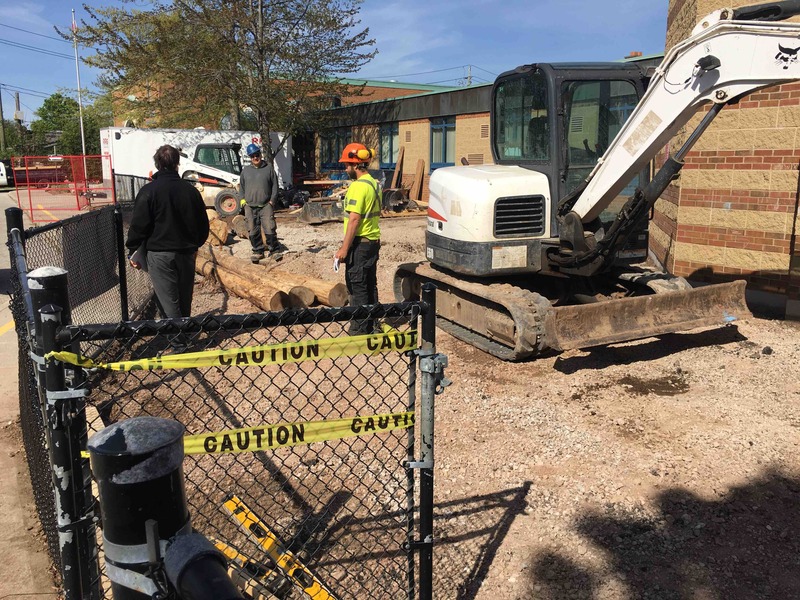 Note: temporary fence and construction debris to be removed! 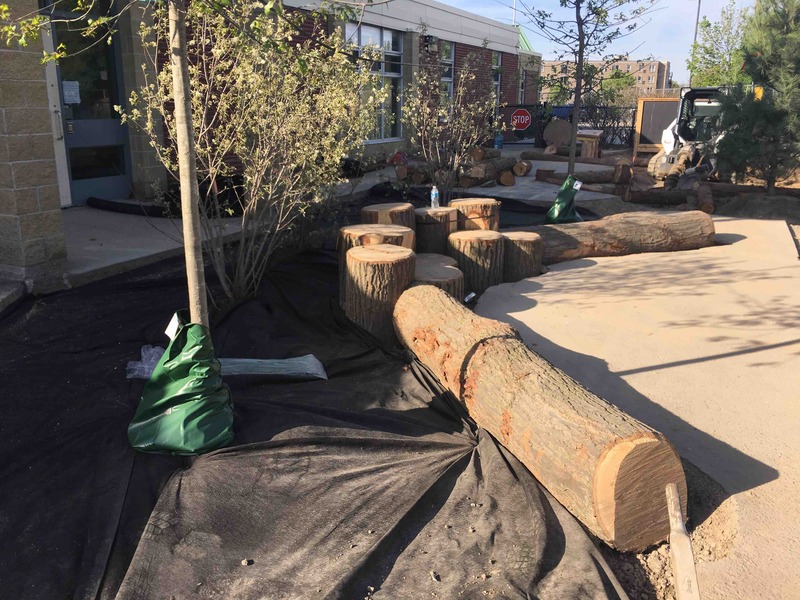 All planting is in place! 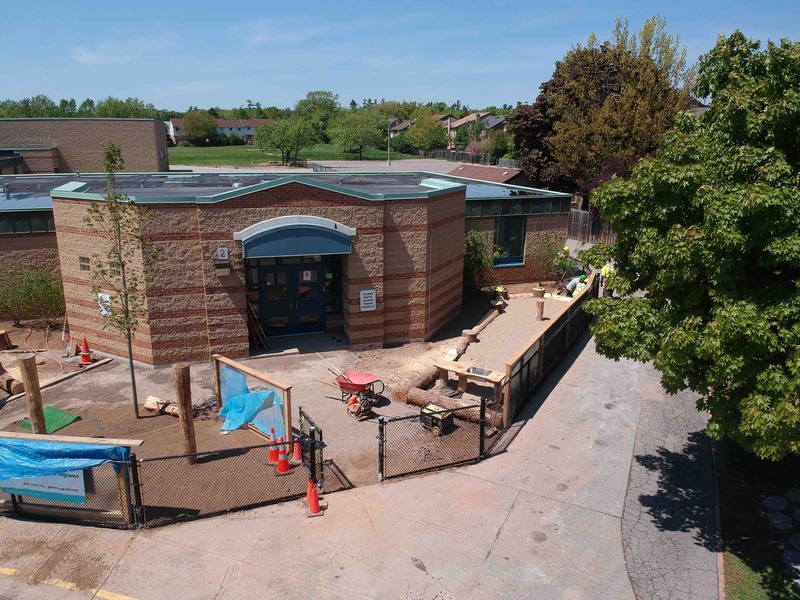 Just some final touches needed! 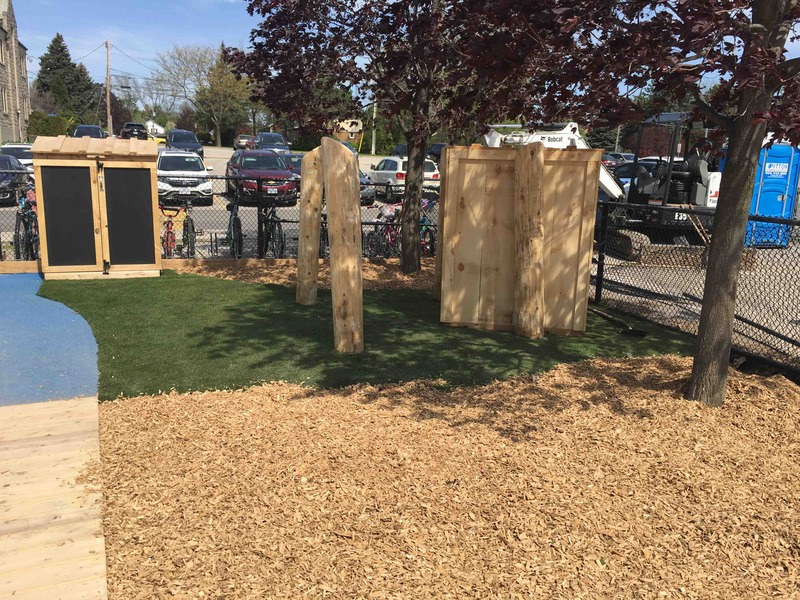 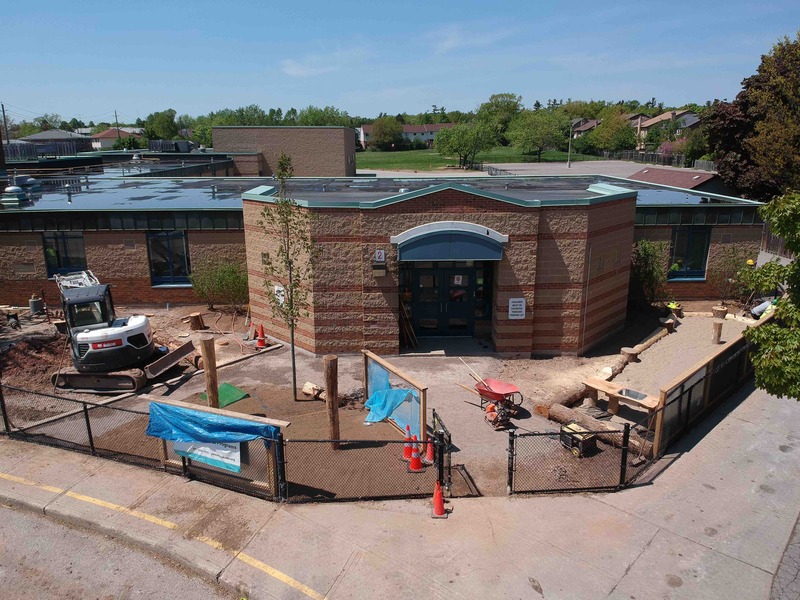 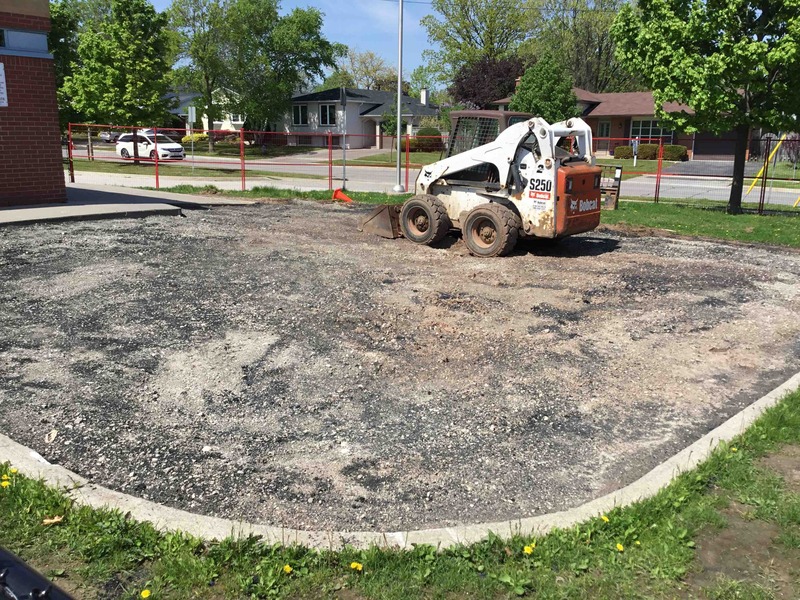 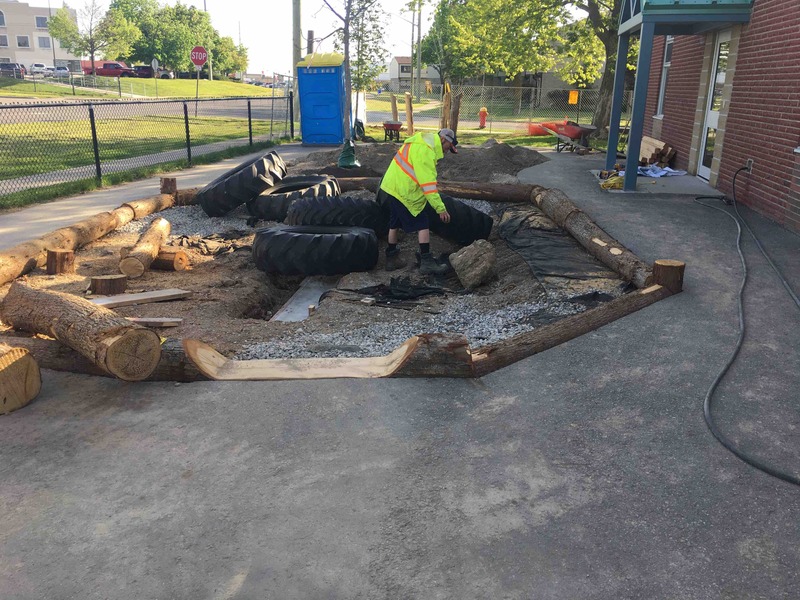 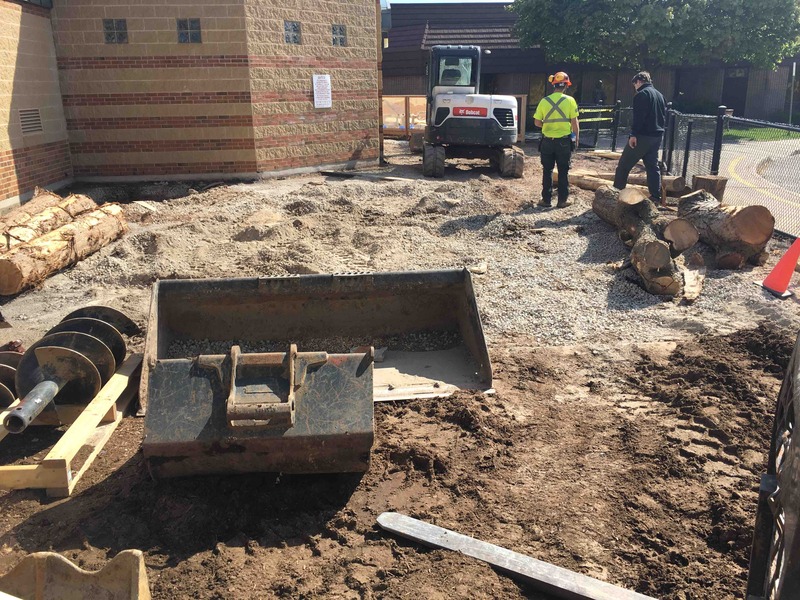 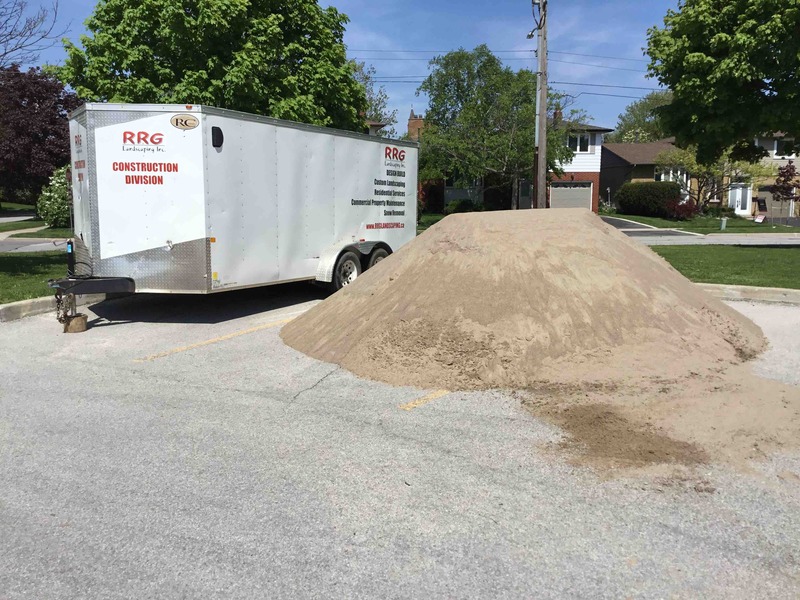 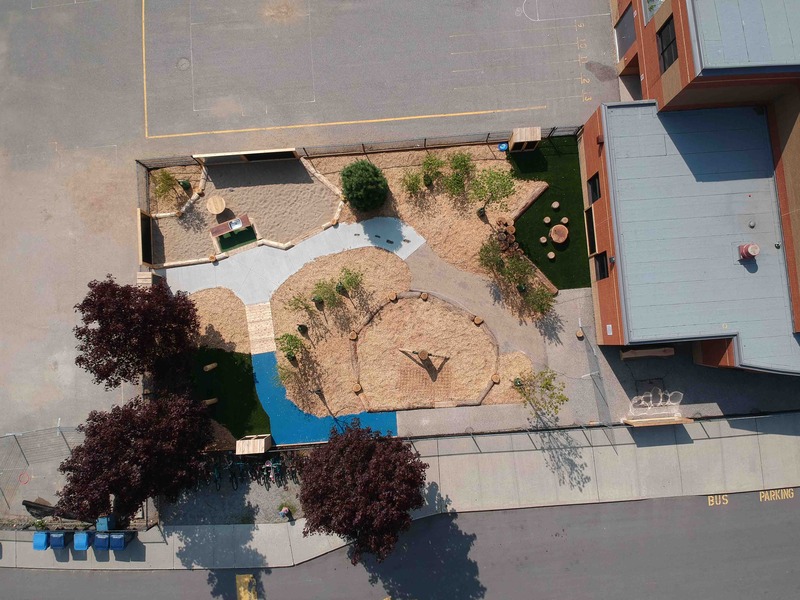 St. Gabriel CES- playground- almost there! 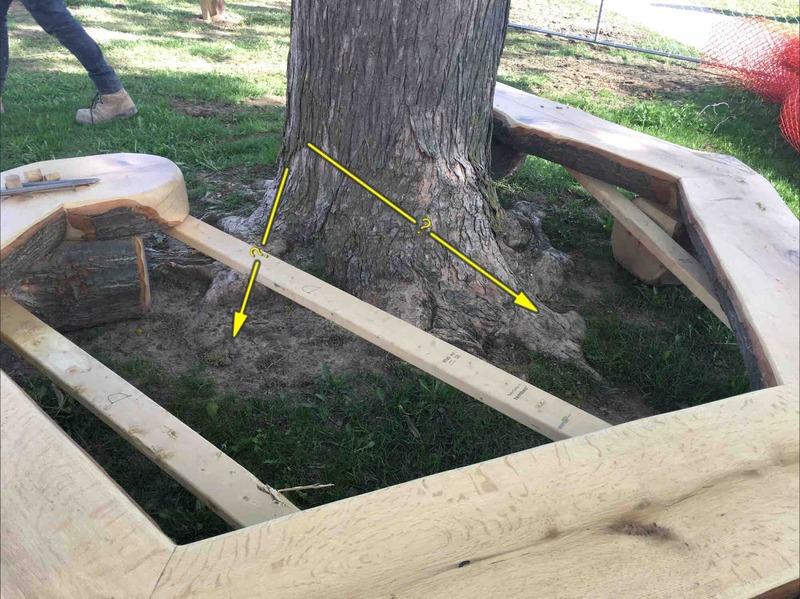 The grade beneath tree is to be raised to receive Durolawn. 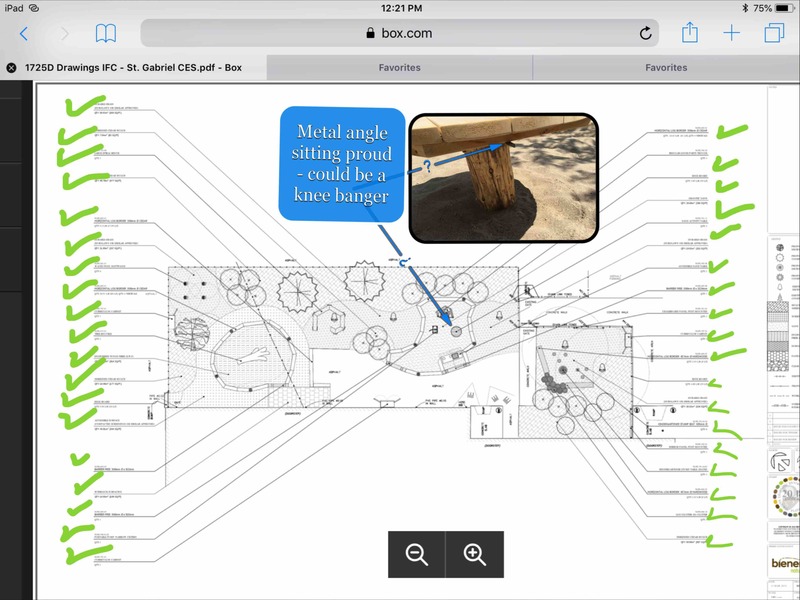 The Bench will sit on a flat surface. 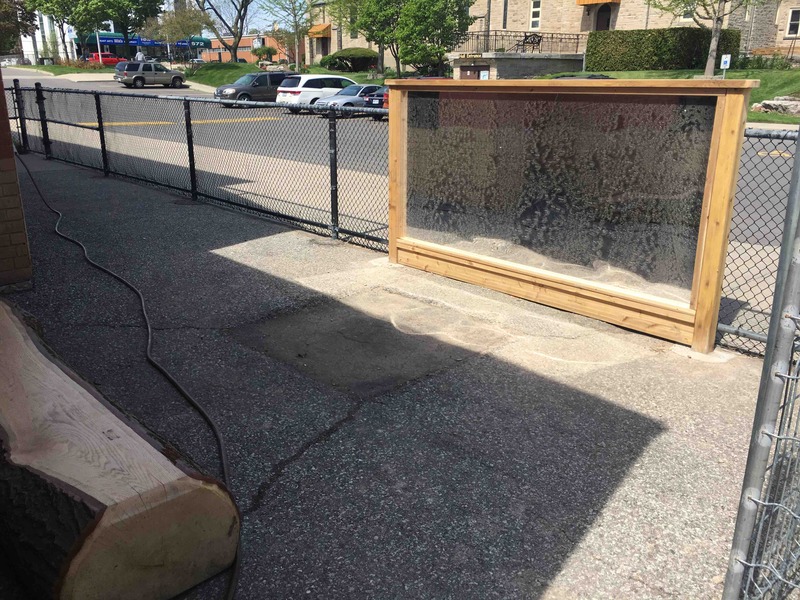 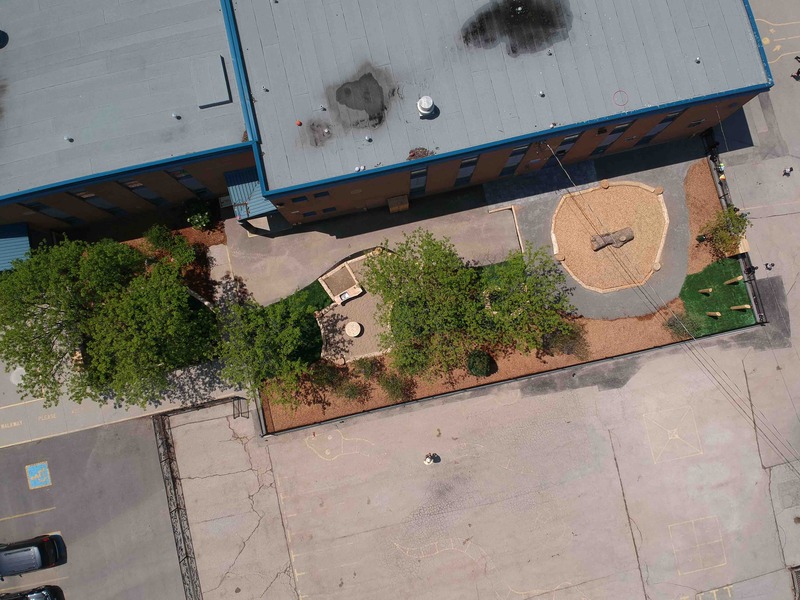 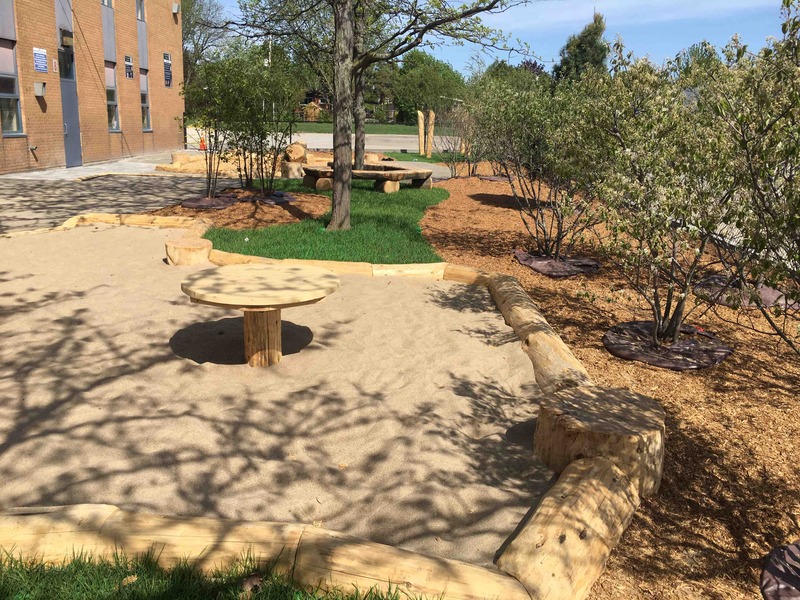 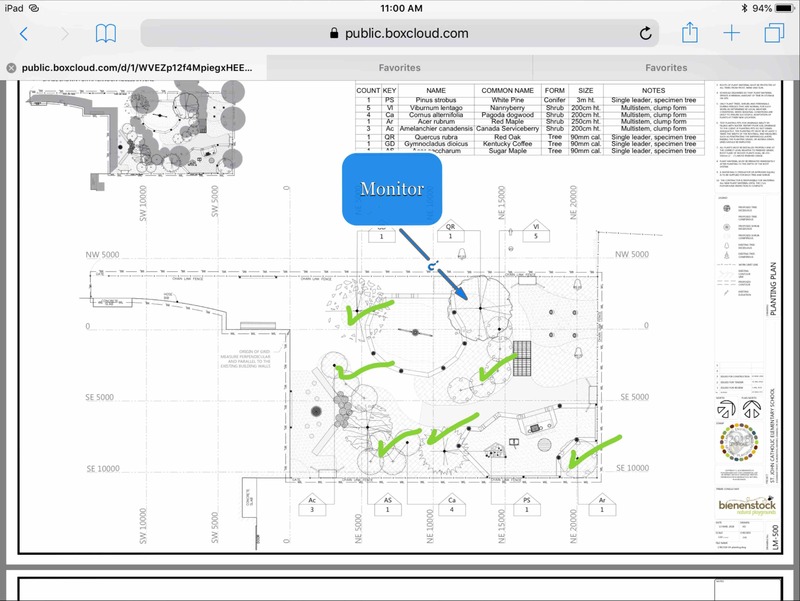 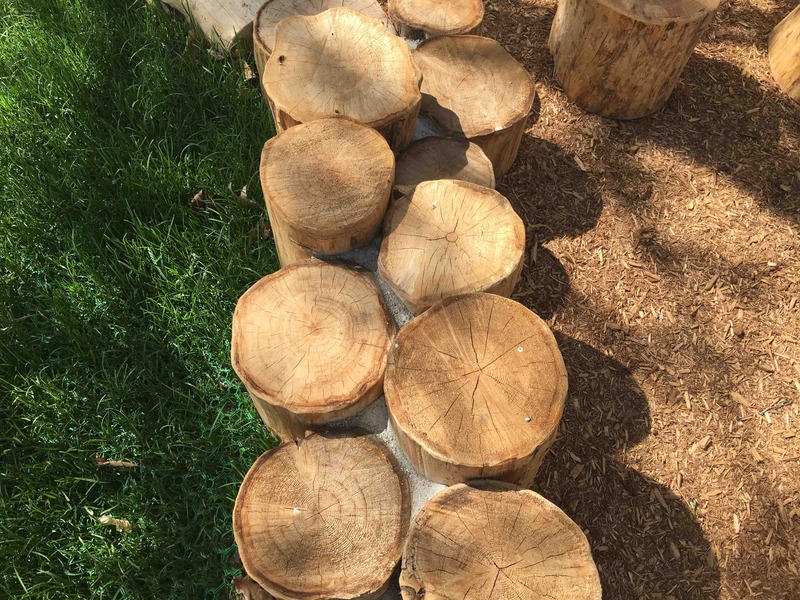 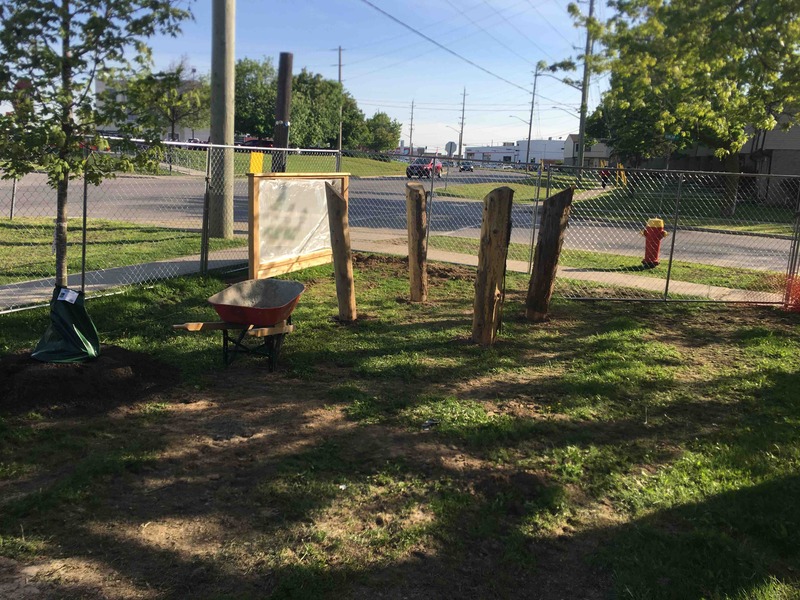 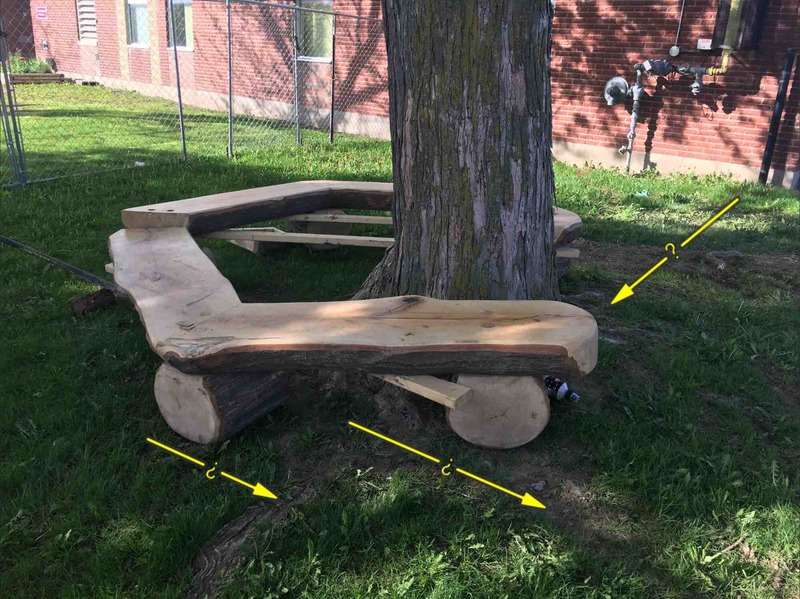 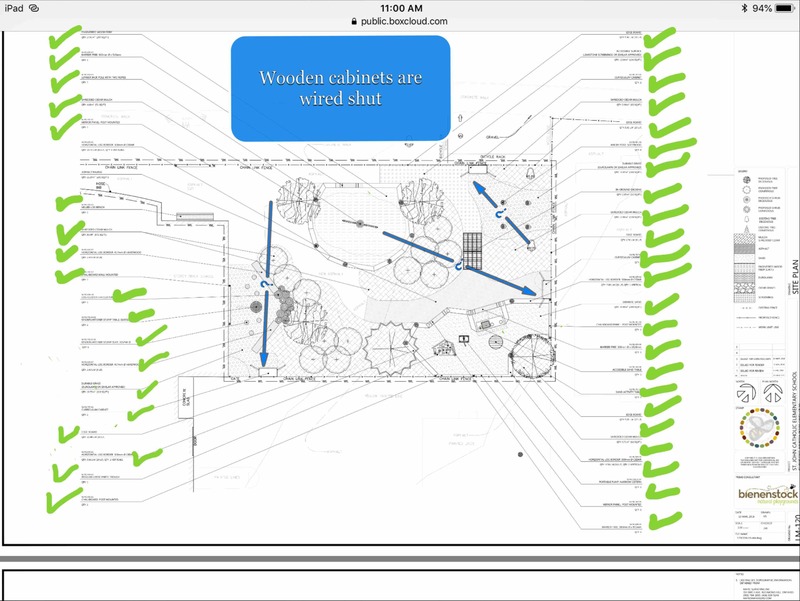 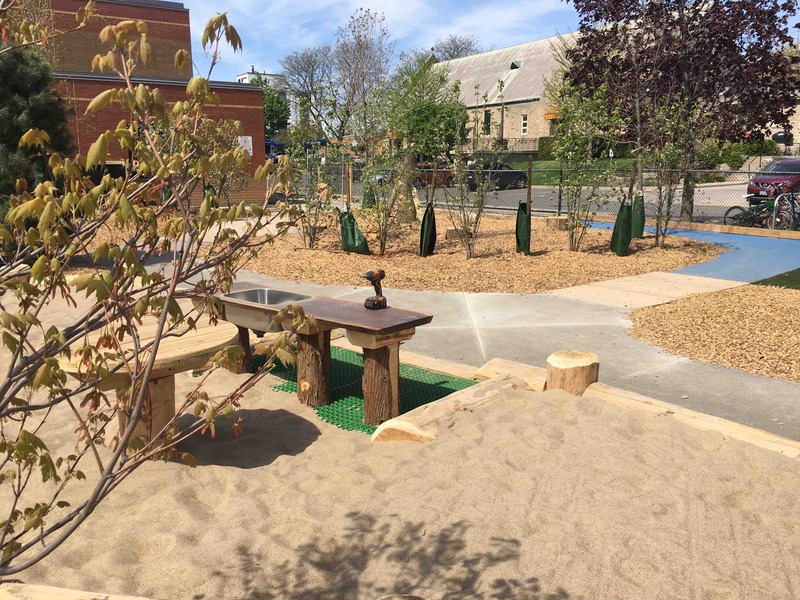 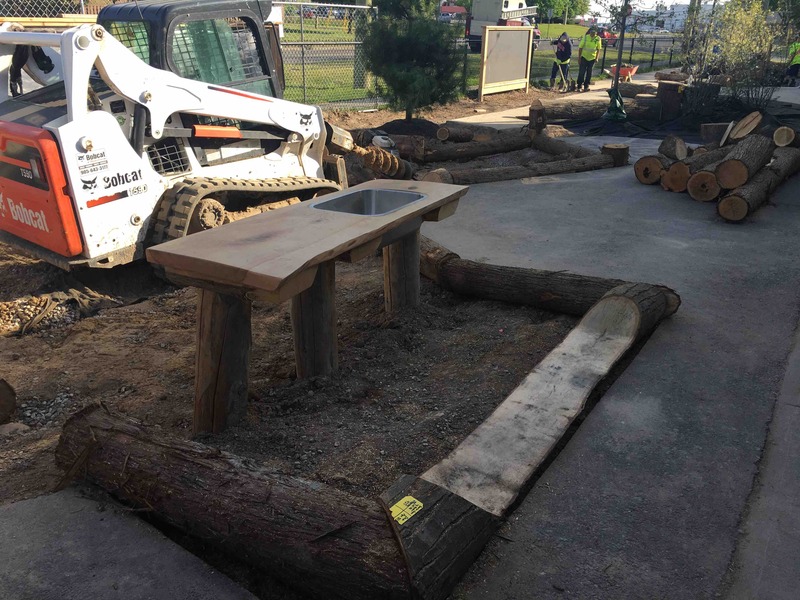 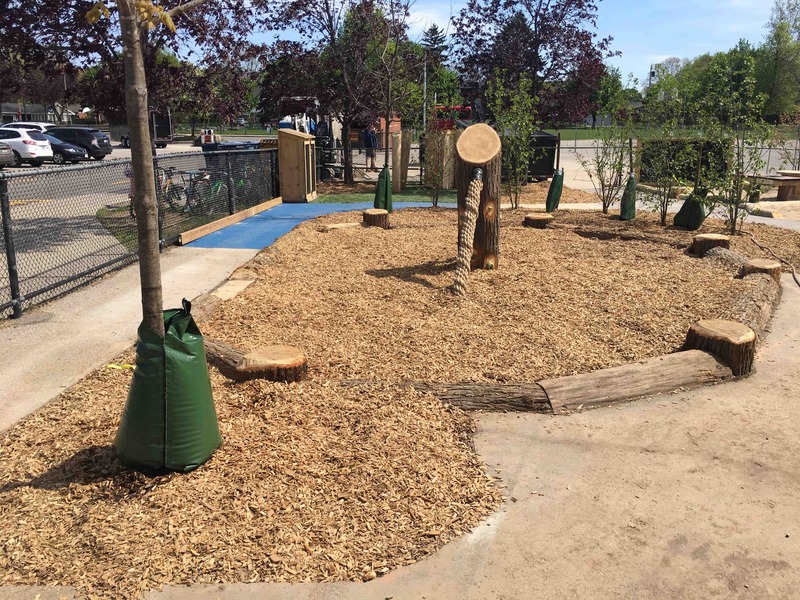 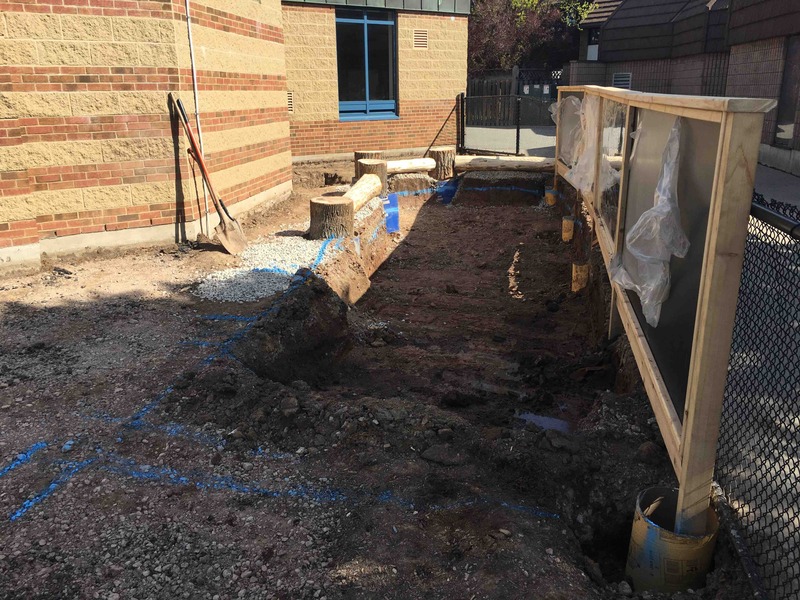 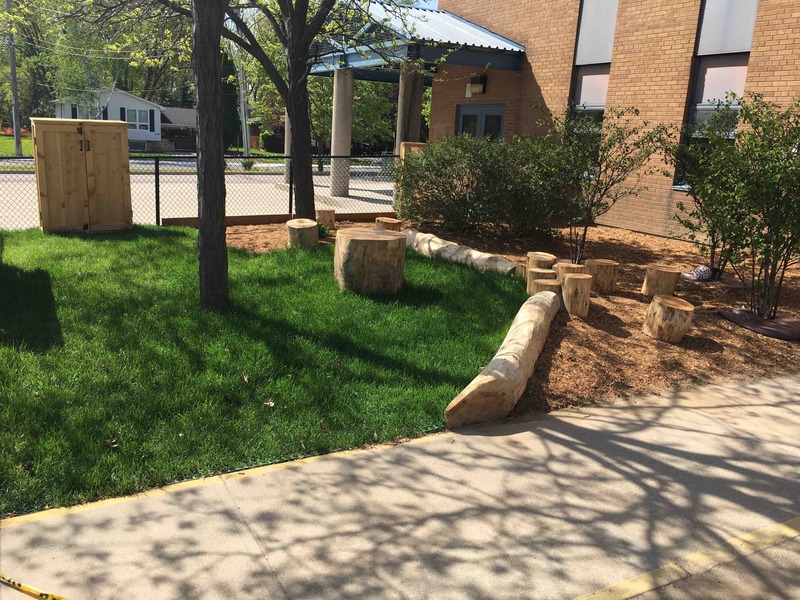 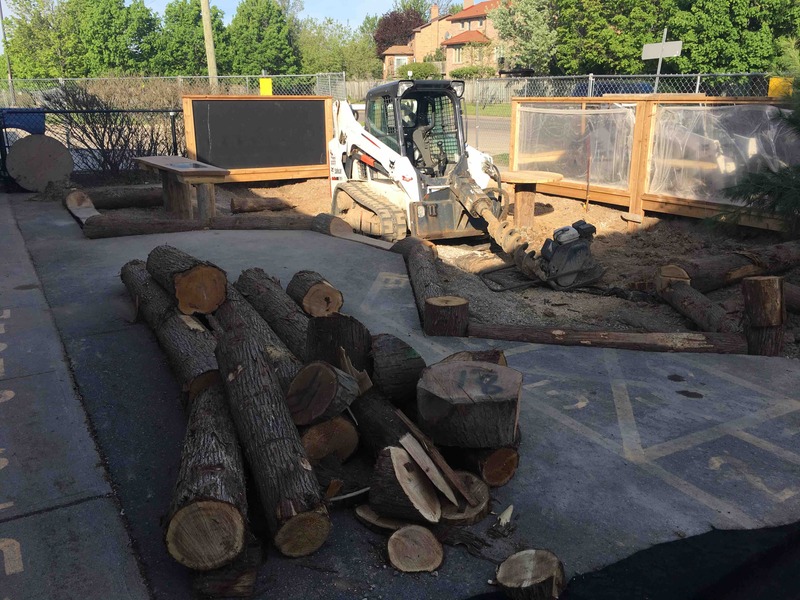 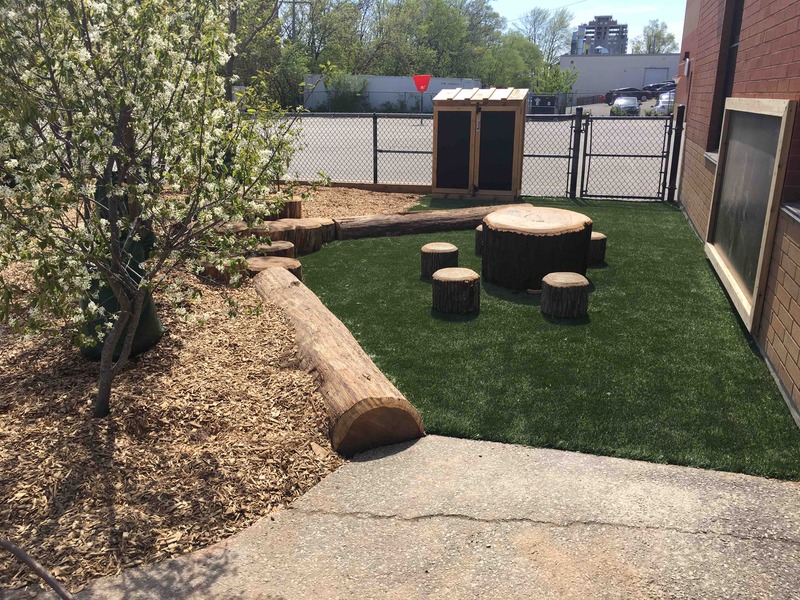 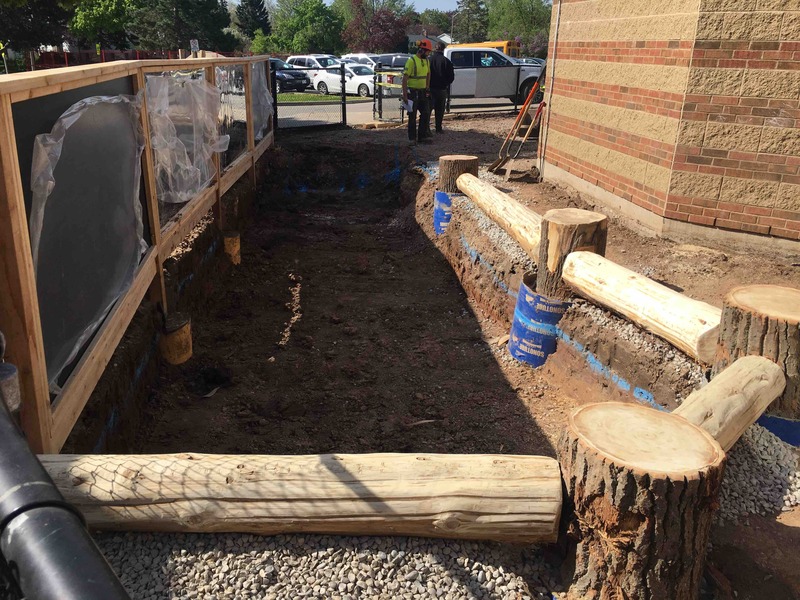 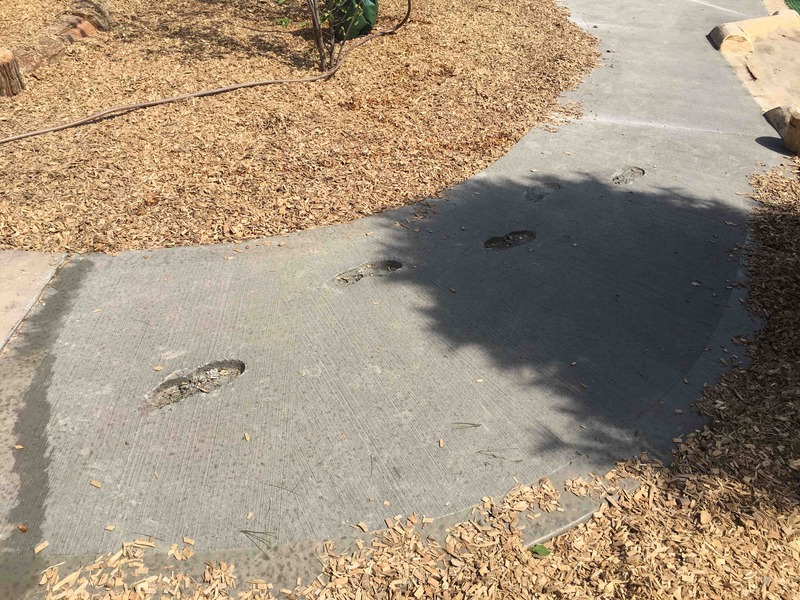 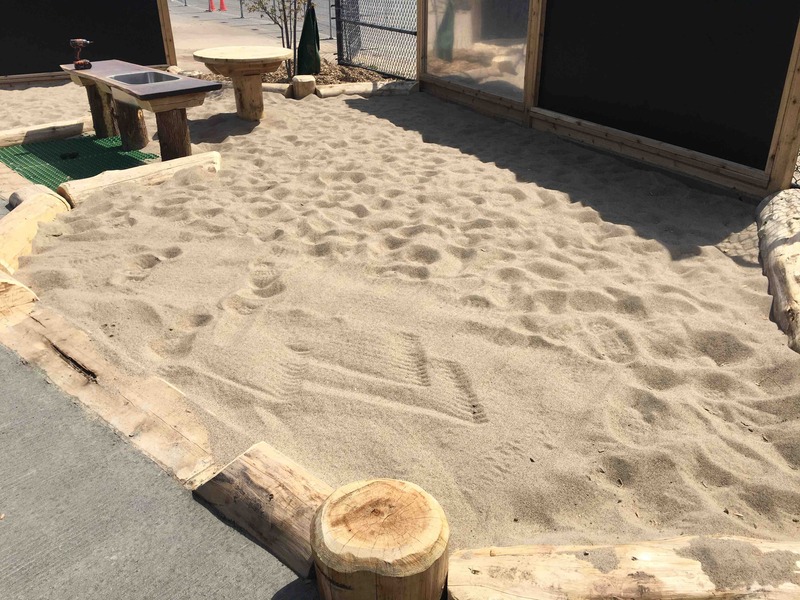 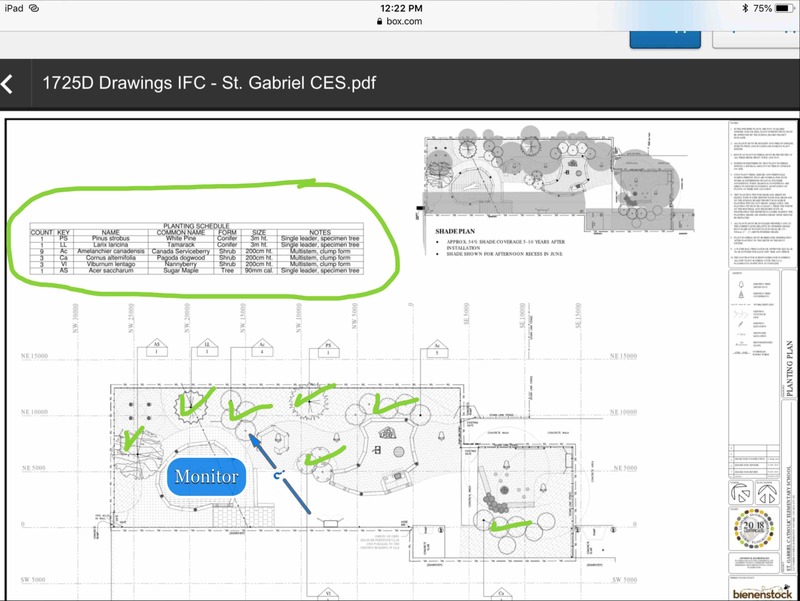 We need direction re- installation of bench / sitting area – tree roots are an issue!